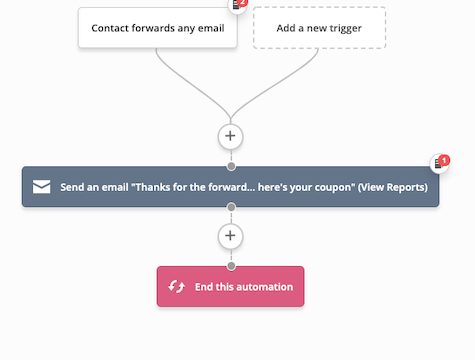 Reward your contacts for forwarding your email campaigns. Once a contact forwards your campaign, they will get an email with a coupon or other offer. To encourage this, you could place a call to action at the bottom of all your email campaigns. The incentive will encourage sharing and increase purchase frequency.